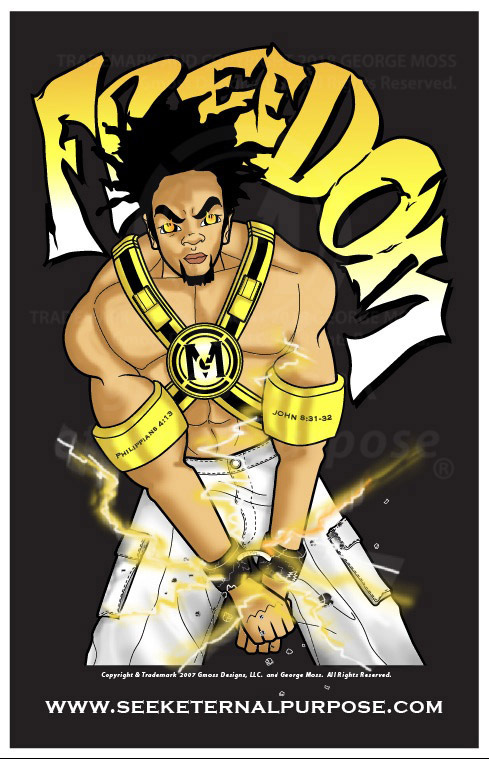 This Character art, “Freedom”, was created in the early stages of the Gmoss Designs Journey. It was a time before any progress was made and our struggle was real. This piece of art is part of my testimony/life before my story – The Chronicles of Ann & Lo. 11″x17″ Art Print Cost: $20. Your price includes the shipping cost. Plus tax will be applied upon purchase. Art will ship in 3 business days of purchase. 1996-2019 © copyright and trademark ™ George Moss of Gmoss Designs, LLC. All rights reserved.